We are bombarded every day with news of spiritual and moral decline in our society. We have watched with despair as Churches abandon Biblical morality and surrender slavishly to political correctness. We have seen the downgrading of the place of the Sacraments within worship and worst of all, the steady undermining of the very belief in Christianity as a revealed Faith. It has become fashionable to say that Christians cannot know anything for certain about God. Faith has become the subject of debate, instead of something that is simply accepted as being true. The Anglican Episcopal Church International is, in a real sense, a 'Continuing Church', not a new Church. We continue to believe in everything the Church of England accepted and taught before it was swamped and strangled by liberalism. That is why we call ourselves a 'Traditional Church'. 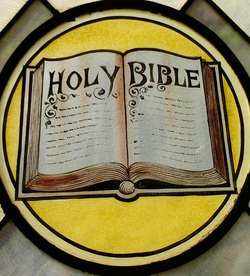 In particular, we hold to the Holy Bible as God's inspired Word and to the Book of Common Prayer, the Ordinal and the 39 Articles of Religion, as containing reliable summaries of our Faith. We hold to the two Sacraments of the Gospel: Holy Baptism, which brings us 'into Christ' and is completed in Confirmation, and the Holy Communion, which unites us to the Sacrifice of Christ Jesus and through which He feeds us with His Body and Blood. We hold to the Holy Orders of Bishops, Priests and Deacons, and, in accordance with the teaching of the Bible and Church Tradition, we believe that all who hold these Orders must be men, although we welcome women both as Lay Readers and into the historic Order of Deaconesses. In obedience to the command of Jesus Christ, we are commited to mission and evangelism in the power of the Holy Spirit. We believe that nations are now more than ever in need of a strong recall to the Apostolic Faith, the Faith which turned the ancient world upside down, the Faith which our Christian forefathers handed down to successive generations, the Faith which always carries a fresh relevance in every age and in every place. The Anglican Episcopal Church International is an Anglican Communion both by doctrine and worship. It is committed to the traditional liturgy of the Anglican Church as contained in the Book of Common Prayer, and to the use of the Authorised King James version of the Holy Bible in public worship. The Ordinations and Consecrations of our Bishops, Priests and Deacons are a continuation of valid and lawful lines of Apostolic Succession, and are directly descended from all five of the Ancient Patriarchal Sees; Jerusalem, Antioch, Rome,Alexandria and Constantinople, which we believe, contribute to the spiritual authority of our Communion. Holy Baptism (or "Christening") is available to all who desire it, either for themselves or for their children. Baptism in the AEC can be at a public service which are arranged throughout the year following the morning service, or at a private service arranged just for you, your family and friends, this service can take place anywhere, in your own home, your garden, a favourite place or in a hired hall. Baptism marks a new beginning. It is the time when we celebrate a person's acceptance of the Christian faith, and their desire to grow in faith throughout their lives. When children or babies are baptised, their parents and godparents agree to be models of the Christian faith in their daily life, and to seek the Church's help in teaching their children about Jesus Christ. Baptism is also a celebration of a new life in our midst as a gift from God, and the whole Church wishes to join with you in this celebration. How to arrange a BaptismJust contact your nearest AEC Priest with plenty of notice for the Baptism date that you would prefer. There will be a short meeting with the Priest prior to the date to obtain all the practical details for the records and to discuss the meaning of Holy Baptism. It would be helpful if both parents and godparents could attend this meeting. A wedding can take place anywhere where it is possible for witnesses to be present. As the majority of the AEC parishes do not own buildings of their own, but meet regularly in local Community Halls, private chapels or in some cases members' own homes, we regret that at the present time our Priests can only offer to provide a service of blessing following a Civil Marriage between a man and a woman. Weddings are a time for good wishes, feasting and joy! They are also a time for serious commitment as a man and woman pledge a lifelong covenant with each other. Our Priests will be happy for you to make your covenant before God following the Civil Marriage, with the consent of the Registrar, or at the reception or at some other time or place convenient to all the parties. How to arrange a Marriage Blessing ServiceContact your nearest AEC Priest in plenty of time, giving him the date, place and time for the service and he will be happy to meet with you and help you plan all the details so that you may have a wonderful day, which will long be remembered not only by you, but by all your family and friends as well. AEC Priests are available to you when there is a death in your family. Those who mourn need support and consolation, and if a service and prayers in a Church would be helpful, we can provide that for you. Whether you choose to have a service at a Cemetery Chapel or at the local Crematorium, our Priests are always available to conduct these services for you. Why have a Christian Funeral?Although funerals are for grieving, they are also a time to give thanks for the life of those we have loved and lost through death. 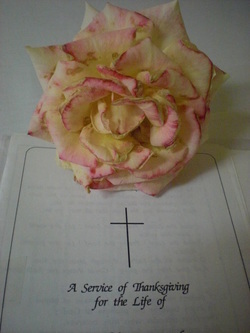 The Christian funeral service includes the belief that there is hope in death, as there is in life. The service is a time to express that hope, as well as saying goodbye to those we love. The Priest will visit you to arrange a service that will provide a suitable memorial. A Church service also provides a venue for friends to pay their last respects and support you in your time of grief. How to arrange a Funeral ServiceYou may wish to call one of our Priests direct or have your Funeral Director make the initial contact for you. Simply tell the Funeral Director what you would like, and they will make all the necessary arrangements. Once a date has been set, our Priest will visit you to discuss the service and any special requirements you may have.